I have had a busy couple of weeks, which included a lightning return trip to Canada and some interesting tripping around PNG and other parts of the world. The big news in PNG in recent times has been the passing of some of the most draconian legislation in the world as an attempt to address the country’s widespread crime problem. New penalties introduced include the death penalty for robbery (in excess of 10 million kina), sexual assault, and sorcery-related murder. Kidnapping will get you 50 to life and theft of lesser amounts attracts 50 years in prison. This picture of an actual attempted murder made it on to the front page of the paper on the day when the new penalties were announced. It occurred in a public place in front of dozens of witnesses. The man was arrested. The woman survived. There are some interesting implications for these new laws. Firstly, to steal more than $5 million requires either a major criminal operation or a fraud that perhaps only a politician could execute. We shall see how that law is applied in time. Secondly, it’s entirely possible that these laws will have minimal impact on crime. Effective enforcement of lesser punishments would almost certainly be more of a deterrent than severe punishments. Thirdly, this is an interesting case study of independence and democracy in general. From what I’ve seen of the polls, the people of PNG are very supportive of these new laws. They are fed up with the crime scourge that diminishes the daily quality of life of the citizens of this country. However, I’m sure that this won’t stop other nations (particularly donors like Australia) from bullying PNG into watering down these laws. I wouldn’t be surprised if they are amended within a year. The good news in all of this is that the Sorcery Act was repealed in its entirety. Welcome to the 21st century. This snippet from the newspaper amused me. It made the case that corrupt and incompetent construction companies build roads here that don’t last. Meanwhile, in Italy, there are roads that are over 2,000 years old that were built by the Romans. Maybe PNG needs to bring over some Romans to improve the quality of the roads here. In other news, the escapee criminal Kapris is still on the run. The bounty is now up to 100,000 kina (about $50k). 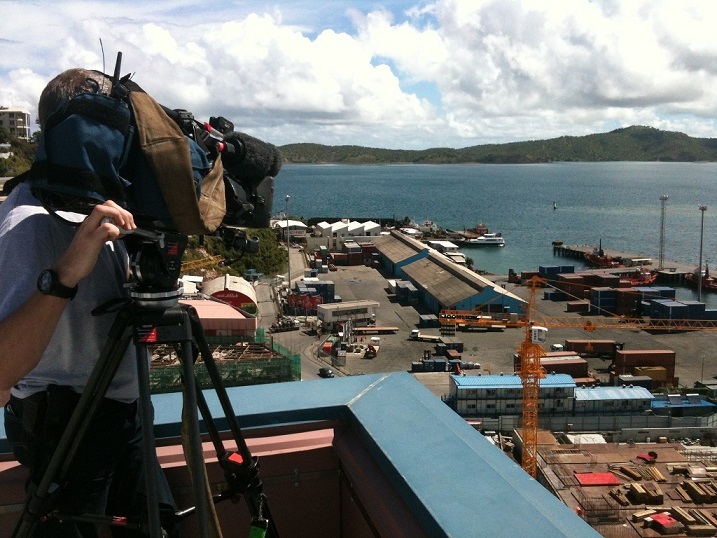 A film crew from Skynews UK came to Port Moresby recently and wanted some footage of the port. I had an interesting chat to the cameraman, who is fond of skiing in Whistler, in British Columbia. The view out over the port is quite spectacular. 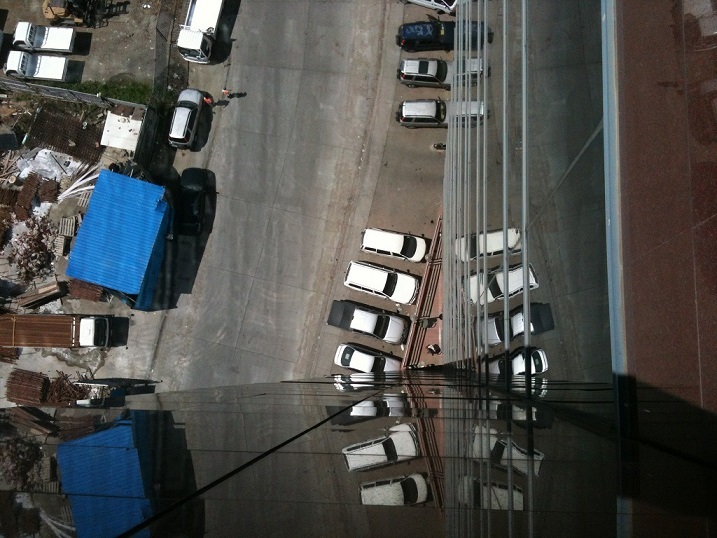 Here’s a view looking directly down the walls of the building. 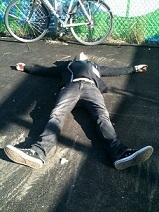 I had a very relaxing Sunday just before I left for Canada. 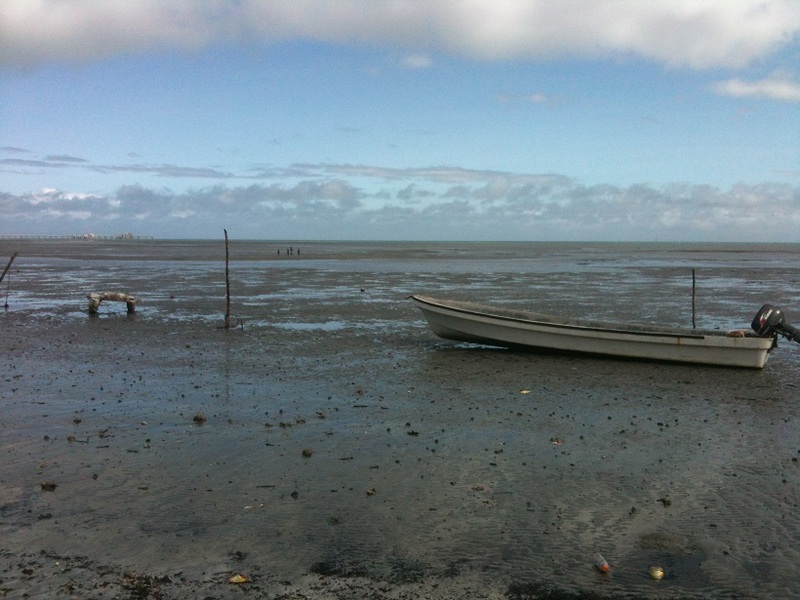 Some friends invited me to take a boat trip to a small island near Port Moresby. Unfortunately, the weather was inclement and so we changed plans and went to the beach instead. 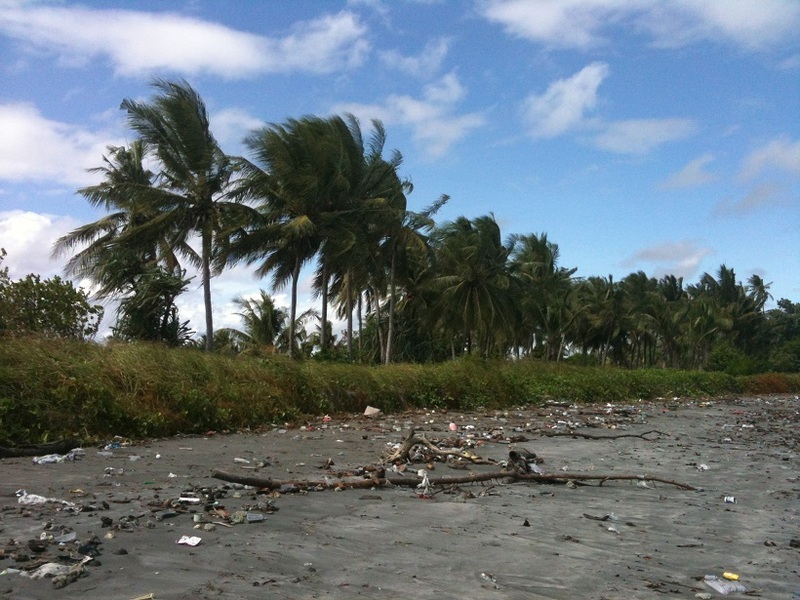 The beach is beautiful, apart from the tonnes of rubbish that is strewn all over it. This is what happens when technology is introduced without responsibility or accountability. 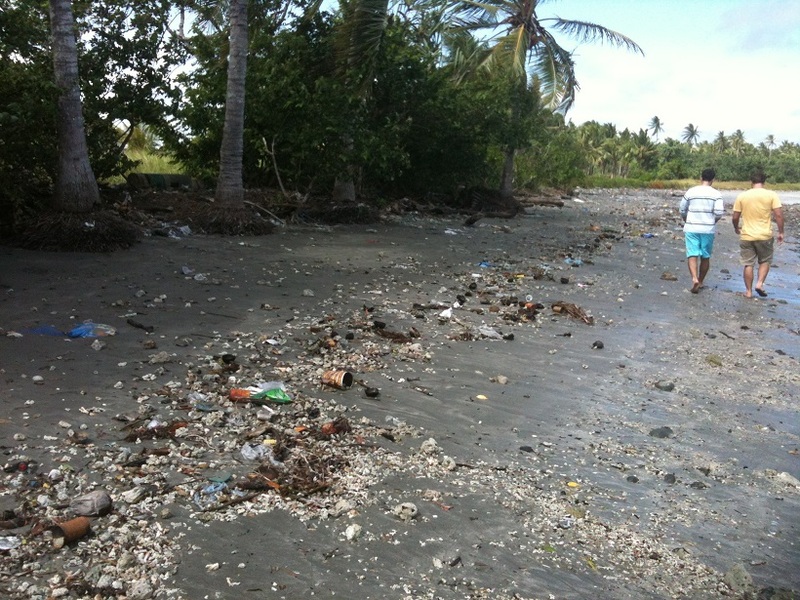 In the past, people may have left garbage everywhere, but it was all biodegradable. 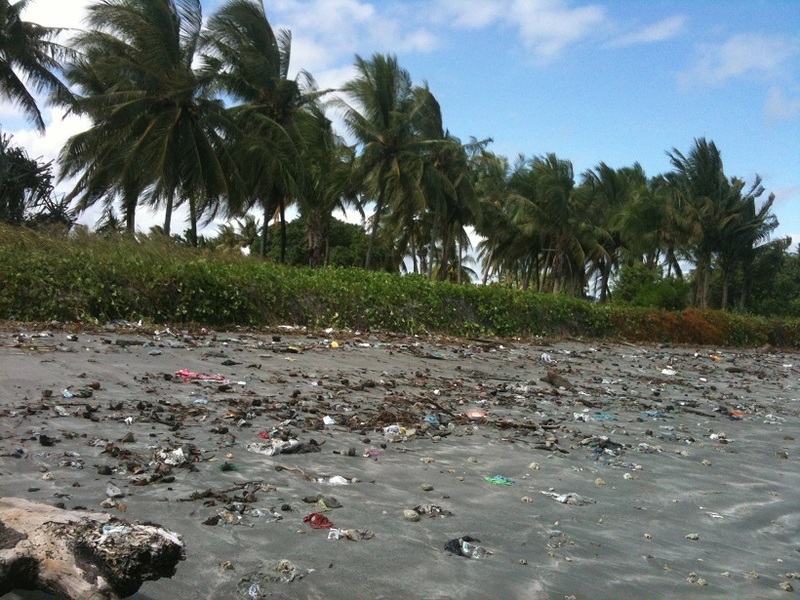 Now we have the technology to make plastics that never biodegrade, but not the organisation skills to keep plastic off the beaches. This is yet another challenge that will have to be overcome if this country is to realise its tourism potential. 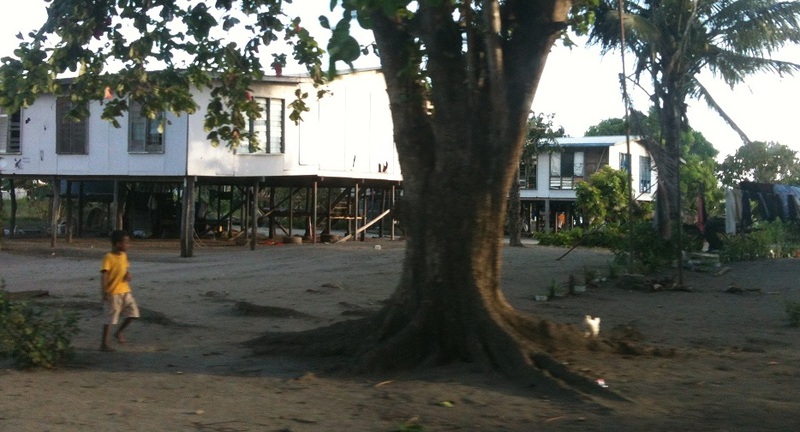 There are houses on stilts right on the edge of the water. Some are very well constructed. 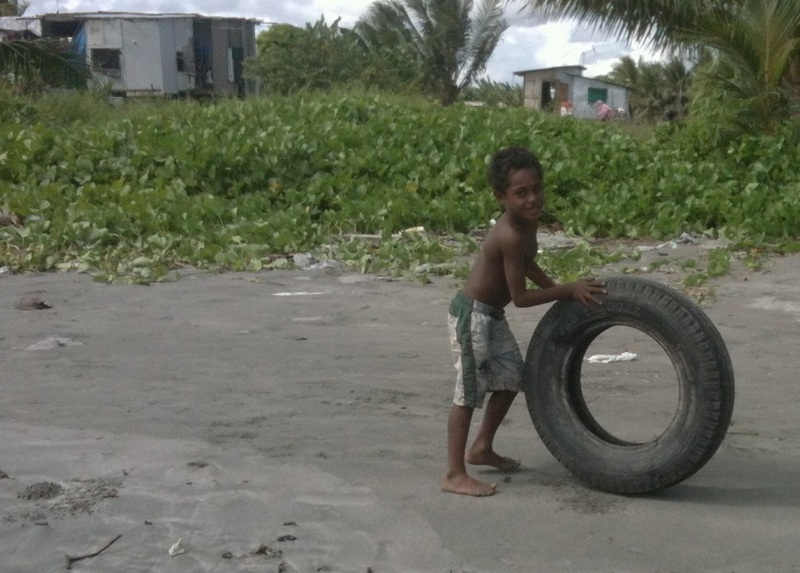 This cute kid was rolling this tyre along the beach. The tourism potential is undisputed. 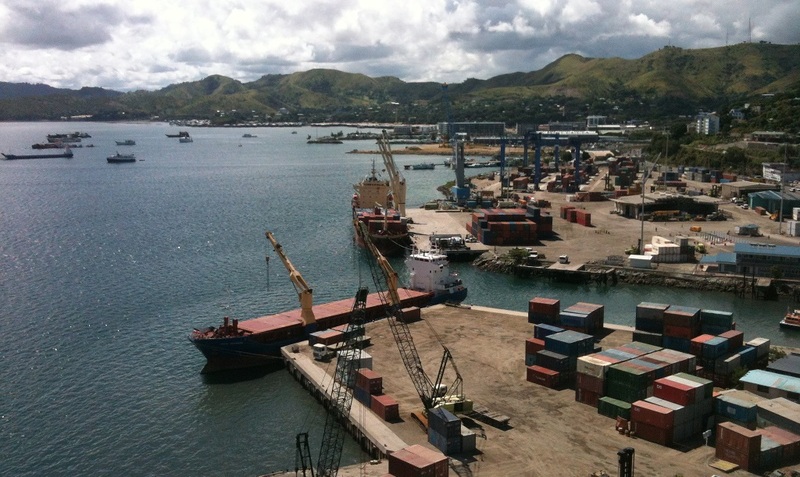 The ability to leverage it is still beyond the reach of Papua New Guinea. 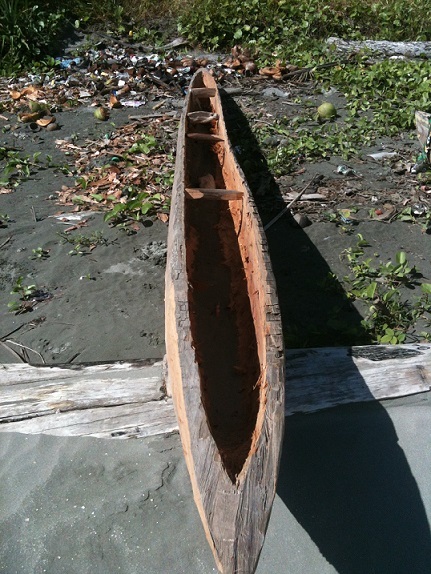 This traditional boat is carved from a single log. 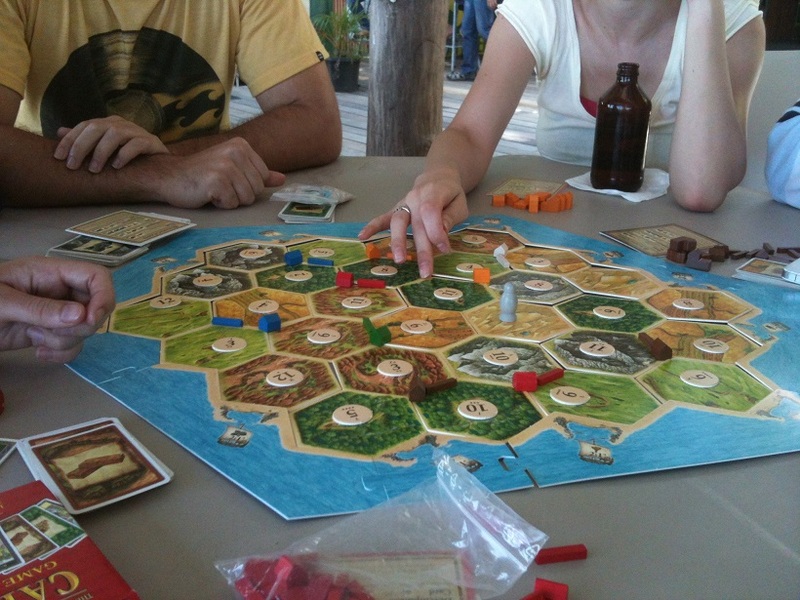 After a lovely stroll on the beach, we passed the afternoon in the shade playing board games. The drive home from the beach provided the opportunity to see some interesting scenery. 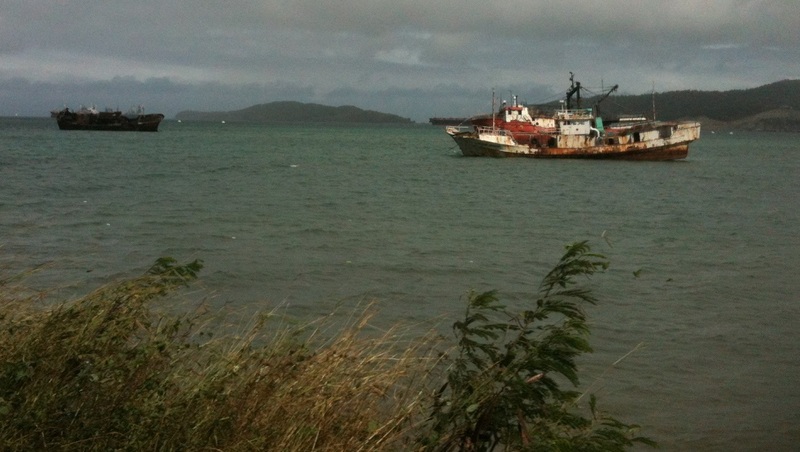 There are a number of rusting hulks remaining in the Port. 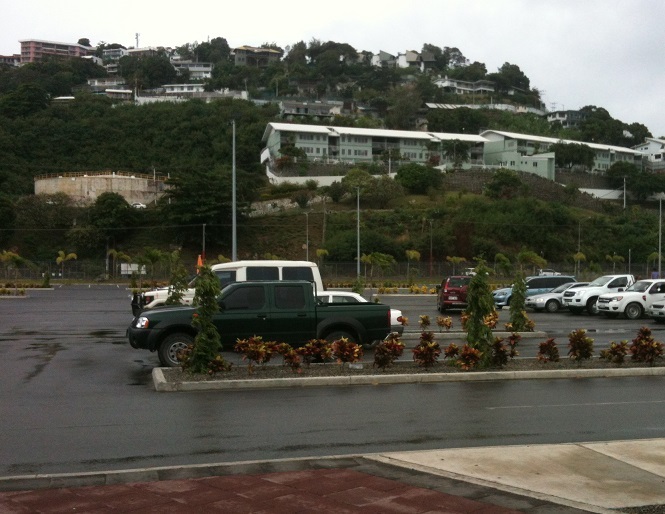 This neighbourhood of Port Moresby is where some middle-class families live. 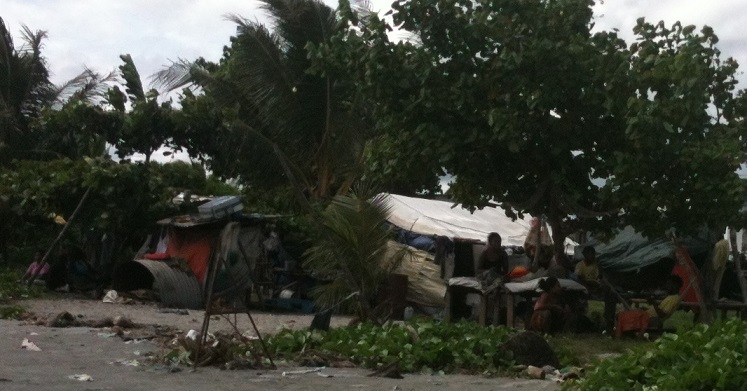 There’s no sewerage system in place for these houses, which is why it is not advisable to swim on the beaches around Port Moresby. Work continues to provide a challenge. 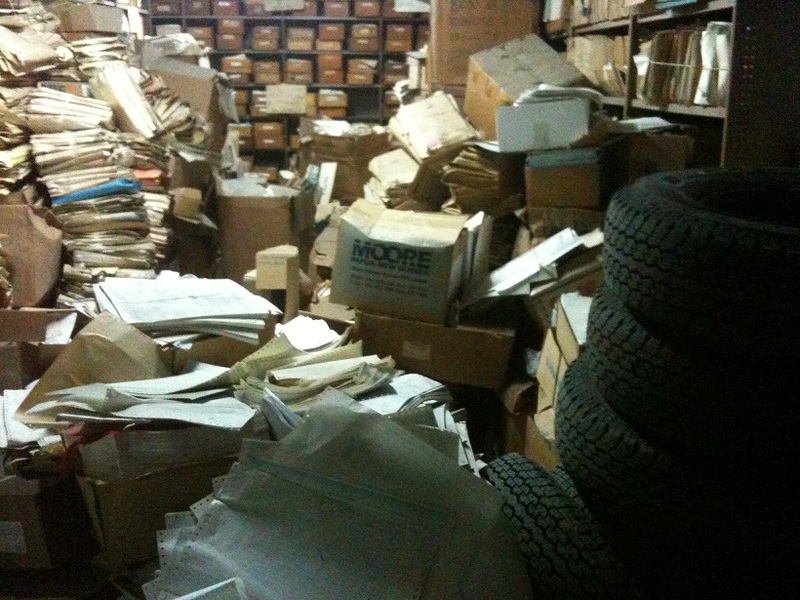 Here is a picture of one of the filing rooms that we had to clean up. It’s a battle, but we are making steady progress. I’m hoping there aren’t any fires in the building. 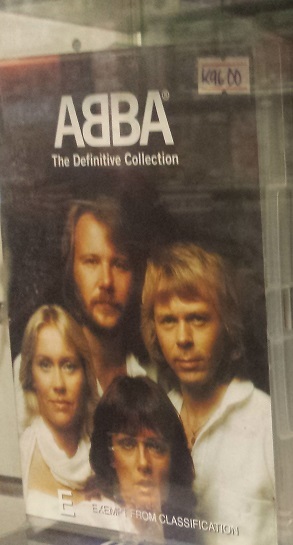 I thought Abba was a Swedish rock band, but evidently it is also a stationery supplier. And if you do want to see the famous Swedes on DVD, be prepared to pay $50 (yes, that price there is 96 kina). Speaking of progress…it comes in unusual forms sometimes. 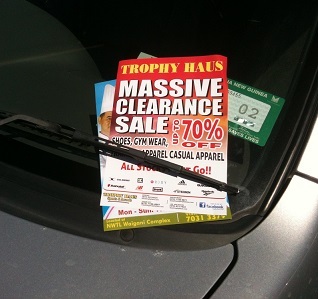 This is the first time that I had seen a windscreen drop advertising campaign in this country. Some things just aren’t as professional here. 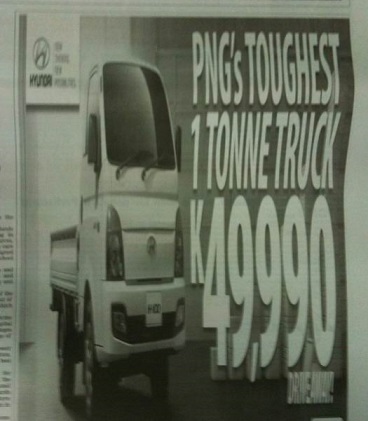 Like this newspaper advertisement for a truck – the image has been squashed and distorted to fit the available space. I travelled home briefly the week before last. 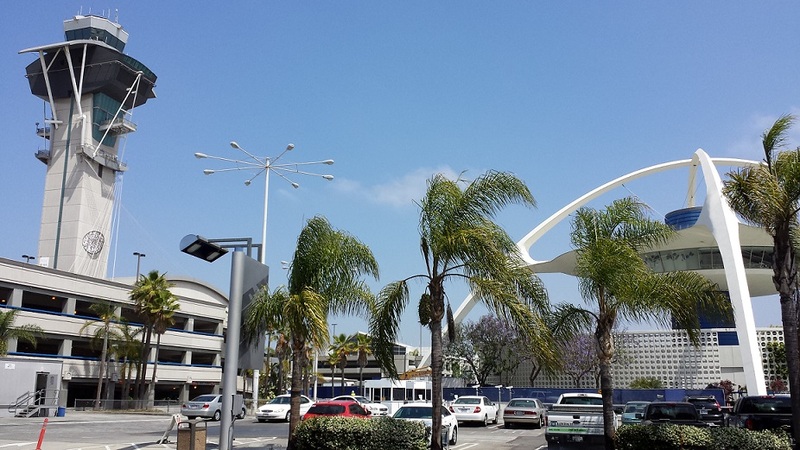 I went via Los Angeles and had a few hours to look around. It was nice to have some time at home. 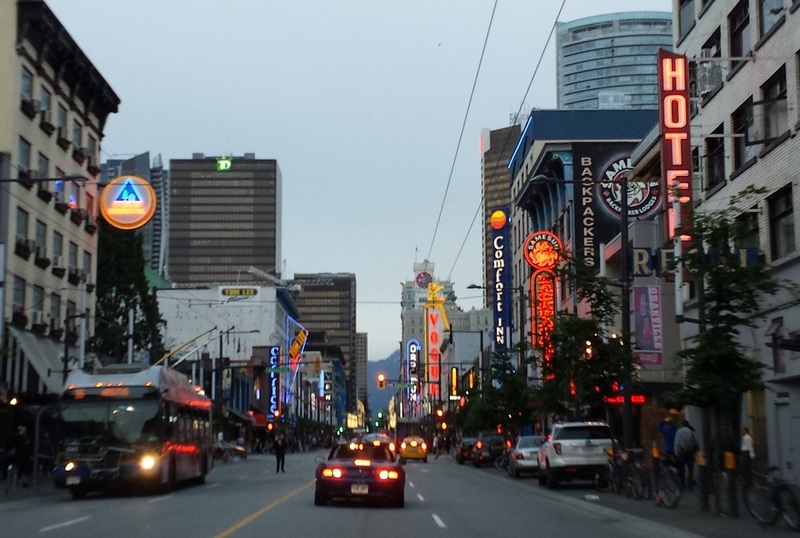 It reminded me of why I live in Vancouver. I’ve travelled far and wide, but this is my favourite city. 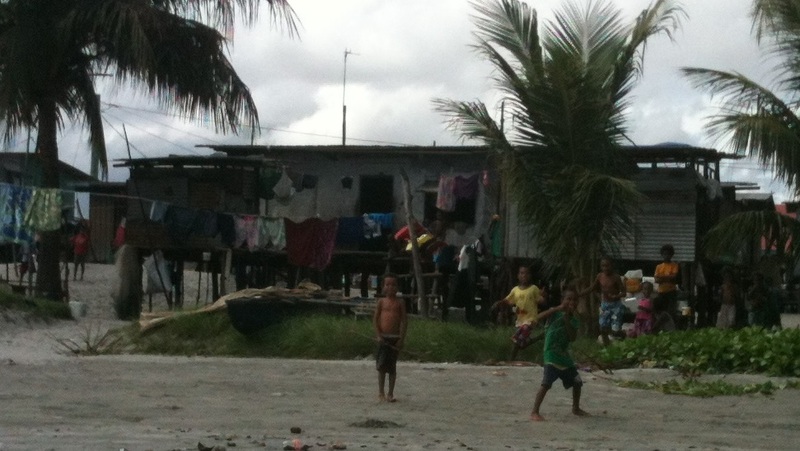 I returned to Papua New Guinea earlier this week. 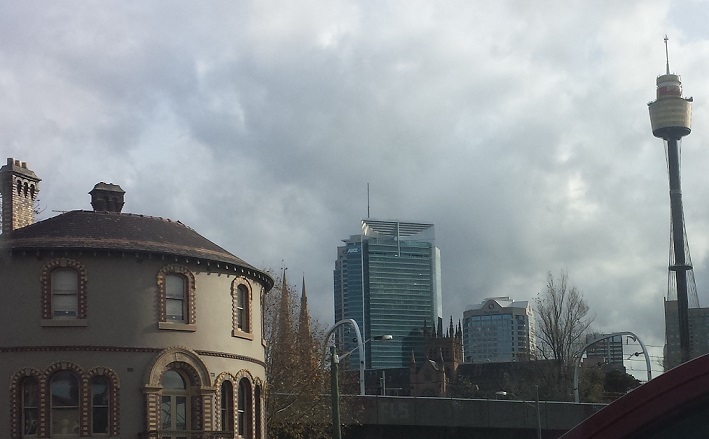 On the way back, I went through Sydney and Brisbane caught up with friends. 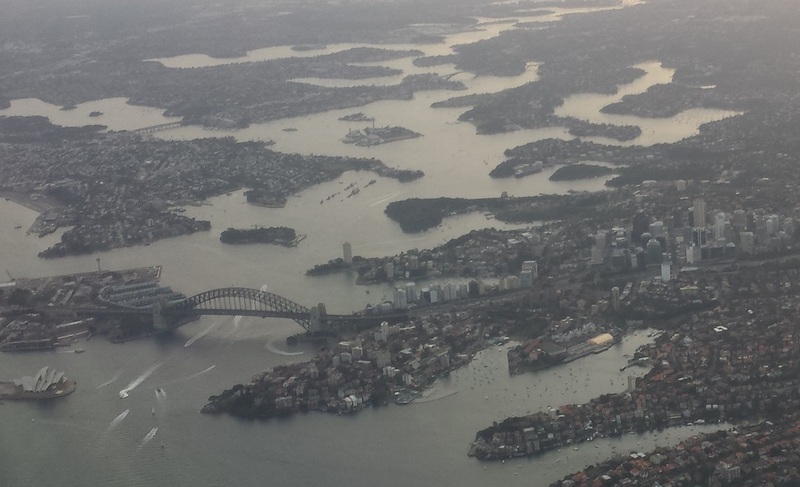 I’ve never been a huge fan of Sydney, but I must admit that the harbour is outstandingly beautiful. 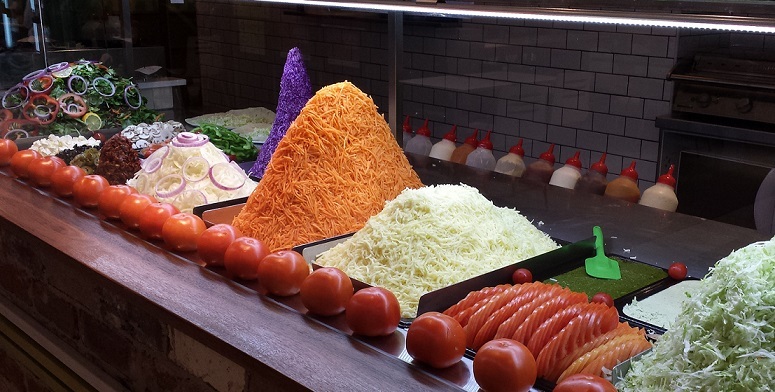 Of course, the only thing that impressed me more in Sydney than the harbour was the way Kebab shops stack their ingredients just before lunch. 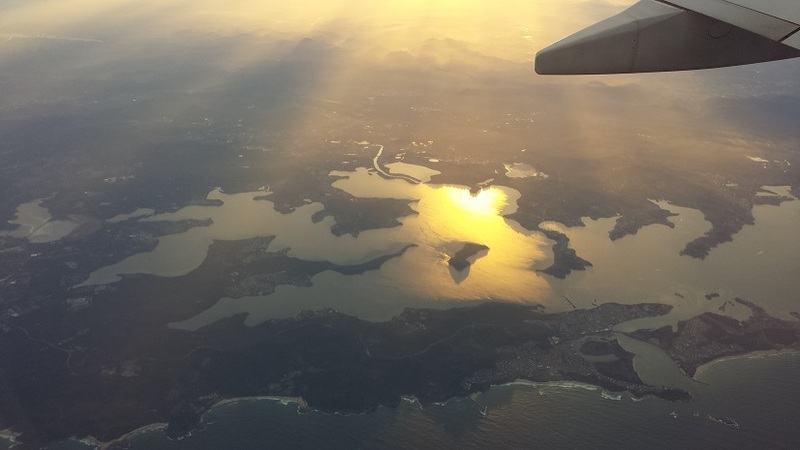 This was the view from my flight to Brisbane. This is somewhere around the Gosford area. 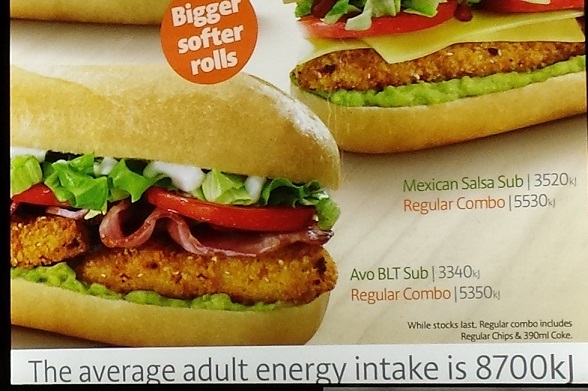 An impressive development in Australia since I lived there is that companies are now disclosing the energy content of their food. 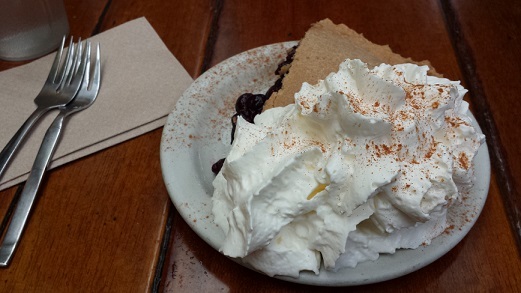 Of course, once I saw the energy intake at Red Rooster, I wasn’t feeling hungry any more. The BLT sub combo has 5,350 kilojoules (about 1300 calories for readers from Myanmar, Liberia and the USA, who haven’t yet embraced the Metric System). I’m back in Papua New Guinea and threw myself back into work right away. Nothing much had changed. 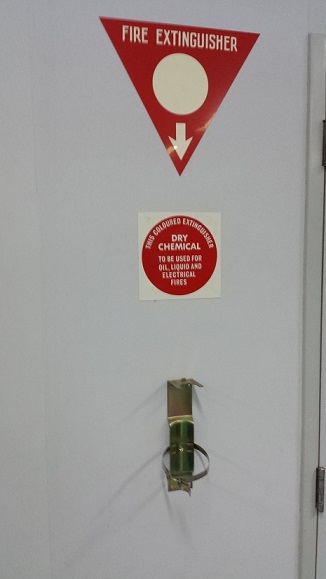 When I arrived back in PNG, I spotted this new sign that is on display at the airport. It reads, “Welcome to Papua New Guinea. Coca-Cola. Our country, our drink!” I always thought Coca-Cola was more of an American drink – owned out of Atlanta, Georgia. 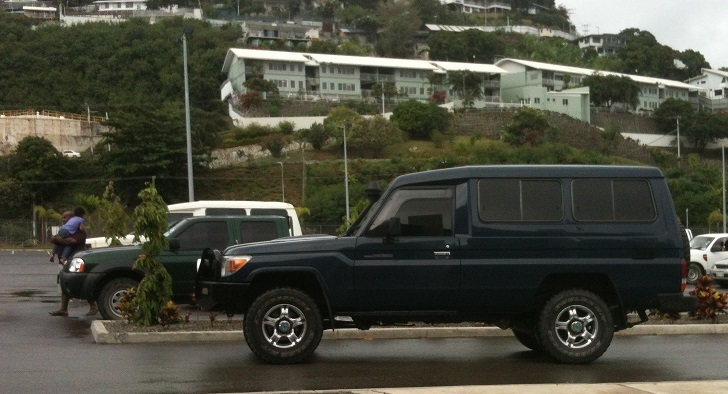 These four-wheel-drive vehicles abound – note the dark, tinted windows, which are an anti-carjacking measure. The four-door utility (pick-up truck) is the vehicle of choice for Papua New Guineans. They are usually seen loaded up with extended family members inside and also in the cargo tray. 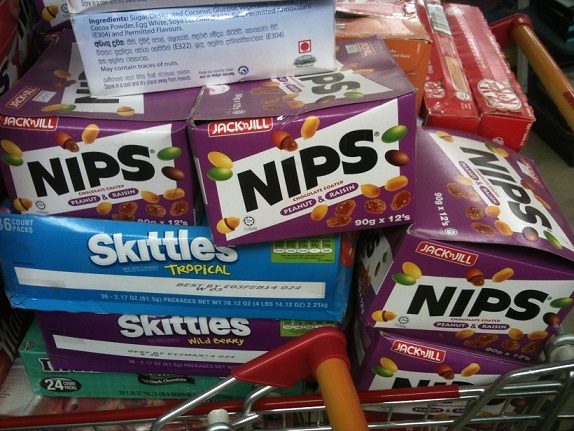 South-East Asia is known for its politically-incorrect sweets. 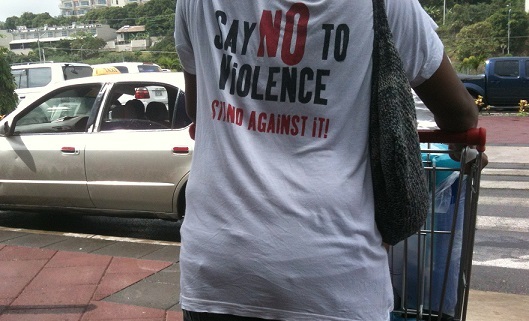 Port Moresby must be the world capital of t-shirt slogans. Those cinematic geniuses have done it again. 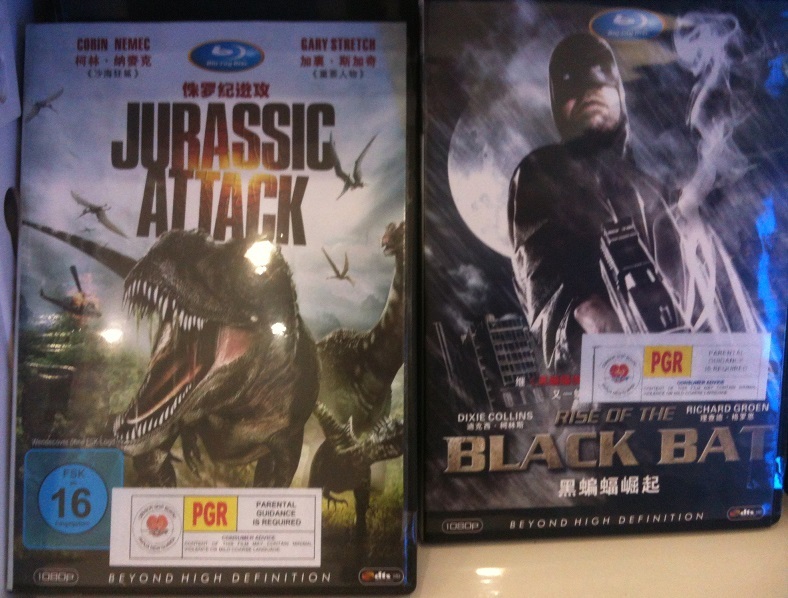 Forget Jurassic Park and Batman, in PNG we have “Jurassic Attack” and “The Black Bat”. I went to the movies last night and saw “Fast & Furious 6”. I find that the sixth film in a series is always the strongest. The movie was better than I expected to be honest. While queuing for my ticket, I spotted this sign. Note the second bullet point. I love the way they have to specify “no grenades”. 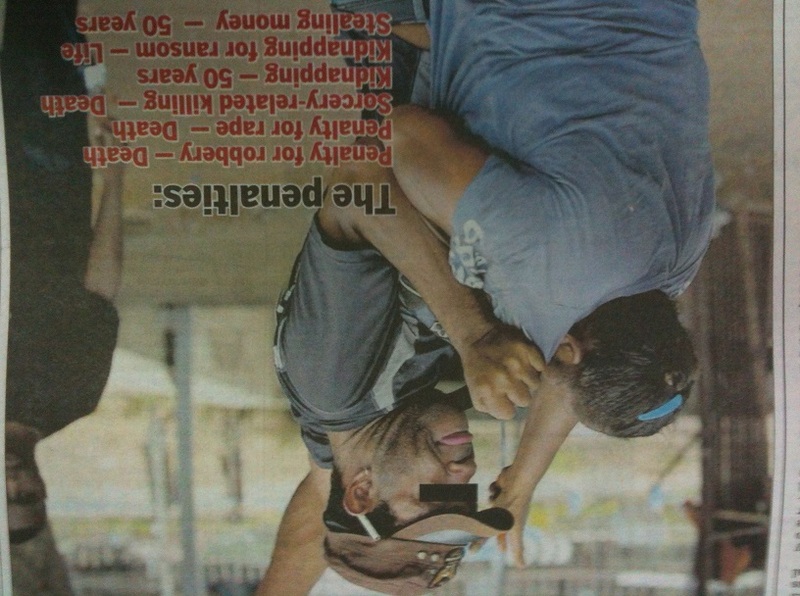 Another interesting photo from the paper the week before last. It’s interesting how traditional dress clashes with the otherwise highly conservative values of some members of the PNG society. 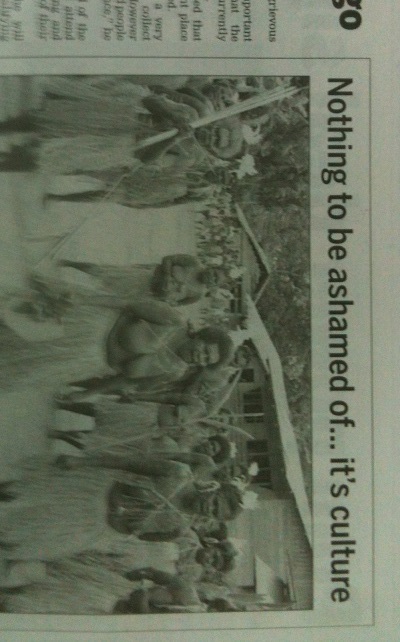 The photo shows some folks in traditional dress letting it all hang out in the name of culture. PS: Don’t forget to subscribe using the “Follow” button on the top left of the screen. You will receive an e-mail notifying you each time there is a new posting.